﻿A variety of tennis training programmes are available for adults of all skill levels. Please click below to view our Club Application Form that lists all of the 2018 adult activities available. Mixed C team tryouts are scheduled for Thurs. May 3rd and Wed. May 9th, 2018 from 7-9pm. Matches take place each week on on Thursdays from 7-11pm. Team Tryouts take place on Saturday, April 28th from 3-5pm and on Wednesday, May 2nd from 11am until 1pm. Team Tryouts to take place on Tuesday, May 1st from 6:30-8:30pm and Saturday, May 5th from 10:30am - noon. 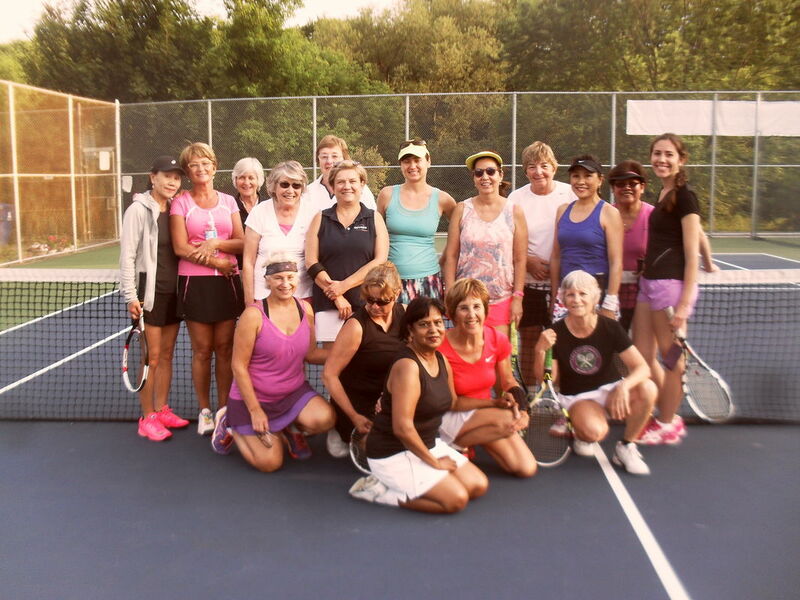 Liz's Mixed B Team competes each week on Tuesdays from 7-10pm. First competitive match to take place on Tuesday, May 15th. ​Team tryouts to take place on Monday, April 30th from 7-9pm and on Tuesday, May 8th from 7-9pm. The Mixed B team competes each week on Tuesdays from 7-11pm. First competitive match to take place on Tuesday, May 15th. Tryouts to take place on Sunday, April 29th from 2-4pm and Thursday, May 10th, 2018 from 7-9pm. The Mixed A team competes each week on Thursdays from 7-11pm.